The epilepsy treatment motto is “No seizures, no side effects”. When it comes to treating epilepsy, the goal is to find a treatment plan that minimizes or eliminates seizures and causes no harmful side effects. Which means you need to be totally honest about every symptom you or your child experiences. Even if you don’t think it’s a big deal, it might be a sign that the medication isn’t working properly.Symptoms include problems with memory. In addition to memory loss experienced after a seizure (people tend to black out during their seizures and have acute memory loss shortly after), certain antiseizure drugs can also affect your memory.Epilepsy affects women differently. Fluctuating hormones can trigger seizures in women. In addition, various seizure medications can interfere with birth control, cause reproductive issues and some can increase the risk of birth defects. This is not to say that women with epilepsy cannot have healthy babies; they can and they do all the time. But it’s a concern that should be addressed with your neurologist. Perhaps the worst of the epilepsy symptoms is that it is incredibly unpredictable both in how it will manifest and when the seizures may strike. Not only do patients and their family members need to suffer the effects of their seizures, but they must also be constantly prepared to experience a complete loss of control over their body, at any time. All states have laws about driving with epilepsy. Every state in the U.S. has a law that dictates whether or not someone with epilepsy can drive. Most require that you be seizure-free for a specific amount of time before being allowed to drive. The Epilepsy Foundation has a database of driving laws by state. Seizures have a beginning, middle and end. First of all, epilepsy symptoms vary and seizures manifest differently with everyone. But one consistency is that seizures have a beginning, middle and end. The beginning of a seizure involves signs of the oncoming seizure, which typically include strange sensations such as smells and tastes as well as physical symptoms like headaches, drooling, numbness etc. The middle portion is the seizure itself, which means the sensory and physical ways the seizure displays (convulsions, loss of consciousness, inability to speak etc.) The end, which can take anywhere from seconds to hours, is when the brain recovers and is usually accompanied with disorientation and memory loss of the recent event. Sometimes a seizure can manifest as bizarre behavior. In the movies seizures are typically portrayed as repeated convulsions. But there are actually many different physical ways that a seizure can appear. The symptoms can sometimes be misjudged as odd behavior, such as spacing out, grunting, or inappropriate giggling. For many people with Epilepsy there is minimal access to information and care. While epilepsy is an illness that can often be managed with proper treatment and medication, many people don’t have access to the necessary information, care and medicine required. Hispanics are more likely to have epilepsy than non-Hispanics, and in the Latino population there is a significant lack of information and lack of referrals to treatment centers. Epilepsy is more common than you think. Some illnesses are more talked about than others, and even though one in 26 people will be diagnosed with epilepsy at some point during their lifetime, it’s a disease that people tend to keep quiet about. Because many people may not understand what epilepsy is, those who are diagnosed feel uncomfortable being open about their illness. Bottom line: it’s more common than you think. The words epileptic seizure can be scary, because as a parent, nothing is more terrifying than when your child gets sick. Even though we may complain about the 3am feedings or the temper tantrums or the endless amounts of crap we have to clean up (literal and figurative), all we want is for our kids to be happy and healthy. When they get sick it is the worst, and if they are diagnosed with a disease you don’t understand, that’s the ultimate feeling of helplessness. In honor of National Epilepsy Month, it’s time to get educated about an illness that affects more than 65 million people worldwide. The scariest part is that new cases of epilepsy are most common among children, especially during the first year of life. 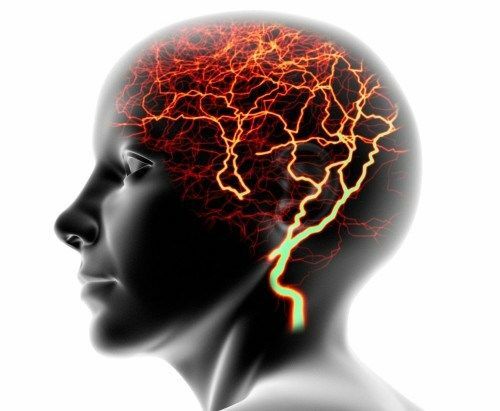 Epilepsy is a neurological condition that affects the nervous system. An epileptic seizure occurs when electrical activity between neurons is disrupted. Unfortunately, epilepsy is a common illness—about 356,000 American children under 15 have it—and even more unfortunate is the fact that many of us don’t know enough about it. According to the Epilepsy Foundation: “Even experts have difficulty in recognizing seizures in newborns. Normal babies have many sudden, brief jerks, grimaces, stares, and mouth movements that might suggest epilepsy in an older child or adult.” To get you started, here are 15 things you need to know about epilepsy. What are the causes of seizures and Epilepsy? Epilepsy is a seizure disorder. Many things can cause seizures such as infection, head trauma, and stroke or genetics. An epilepsy diagnosis generally means you have had two or more unprovoked seizures in the space of a year. Outside of the U.S. the most common cause is an infection caused by a tapeworm, and this can be easily prevented by washing your hands. What should I do during a seizure? First of all, stay calm and move anything potentially harmful away from the person who is having an epileptic seizure. Pay attention to the length of the seizure. If this is the first known seizure for the person, or if it lasts for more than five minutes, call 911 right away. Otherwise, do your best to keep others away and to make the person as comfortable as possible. Don’t attempt to hold them down or put anything in their mouth, including water or medication. And above all, be supportive. People with epilepsy can be successful. Yes, epilepsy is a serious condition, but no, being diagnosed with epilepsy is not a death sentence. You can still live your life and be successful (and happy, we might add) while you deal with this illness. It’s just a matter of ensuring that the people in your life—whether at home, at school or at work—are all properly trained and educated on how to help you or your children when you need it. Everyone should be able to recognize when a seizure strikes and help provide first aid. Remember, knowledge is power, so the more you educate others the more likely you are to succeed. Drugs can be hit or miss. First of all, it’s important to note that epilepsy medication is designed to treat only the symptoms of the disorder, not the cause. So while they may help with your physical symptoms (aka, your seizures) they are not a cure that will completely prevent them from ever happening again. And sadly, they don’t always work. Only about two thirds of epilepsy patients respond to treatment. Back-to-school does not need to be a nightmare. If your child is suffering from epilepsy then you are probably all a bit terrified of going back to school. You’re nervous about what may happen when you’re not there, your kid may be nervous about how people will treat him or her and you may all be really scared. Communication is the key to success. Talk to each other and make sure you have a plan for all scenarios. By being open with the school, the teachers and your friends then everyone will be prepared to take control of the situation when necessary. Seizures don’t have to be embarrassing, just be honest with everyone around you. You and your family do not have to deal with this alone because 1 out of 26 Americans will have epilepsy at some point in their lives. Seek help and advice from doctors, friends and people who have been there before and don’t be ashamed of what you are experiencing. You and the 65 million people worldwide are not in this alone.